- Copy your model horse's shape of the head. 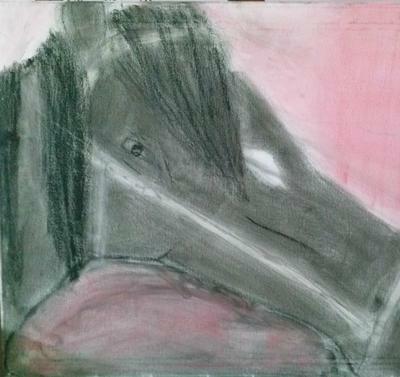 - If you would like more details on your drawing,then focus on the details that your model horse has. It's not too bad, actually. Maybe make the cheek come out like a half circle. You placed the eye very good!! 1 more thing, make the head not so long but also not too short. Those are easy fixes so you did pretty good on that! Keep practicing! Another Tip: Look at some horse pictures and see how their face is shaped and compare yours and other horses. Like I said, those are easy fixes.